When it comes to dressing up, it’s not just about looking good and beautiful. It is also about displaying your confidence and attitude. No, the list doesn’t stop here. Sometime even dressing up can make your special moments more memorable for life long. 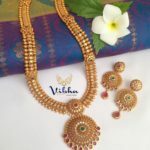 For instance, if you share that special moment with one of the closest person on the world like your mom, then you both dressing up in same saree with same style would throw the entire crowd in surprise. In short, the day will be itched in the memory. 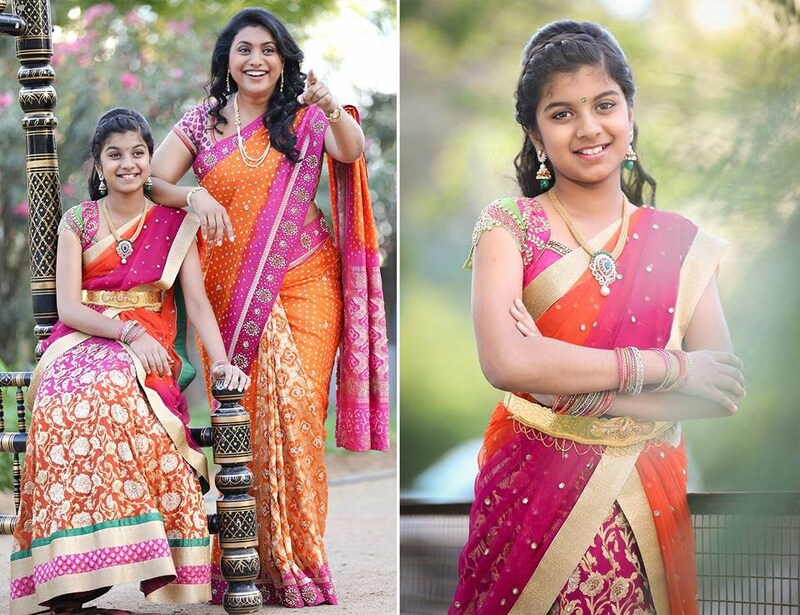 Of course coordinating outfits with your mom could be less complicated considering you both can get same saree or salwar..etc. However, with your daughter, it might get little complex. Your baby girl doesn’t need a saree. 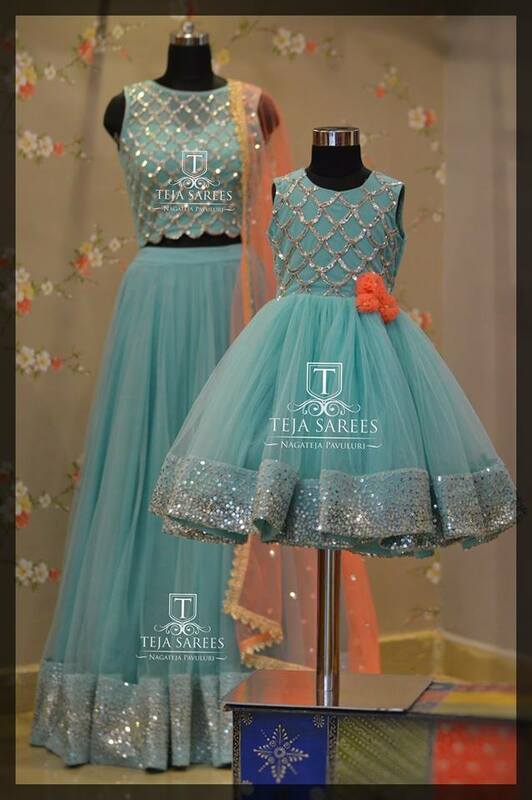 How cool would it be, if your little lady can match up your lehenga or anarkali for that matter? 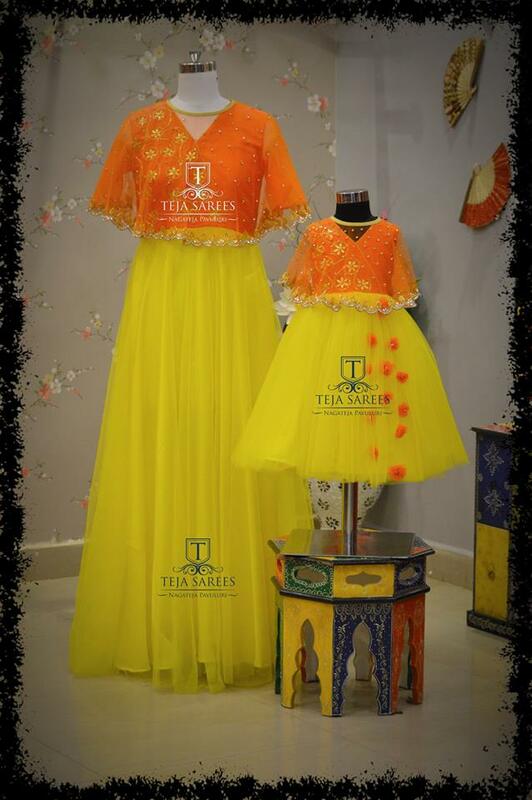 Wouldn’t it be so smashing to wear such matching outfits on your girl’s first birthday or any other special occasion that you share exclusively with your girl? Definitely this thought will get you excited. And the obvious next question is where in the world I can get those customized outfits for myself and my baby! 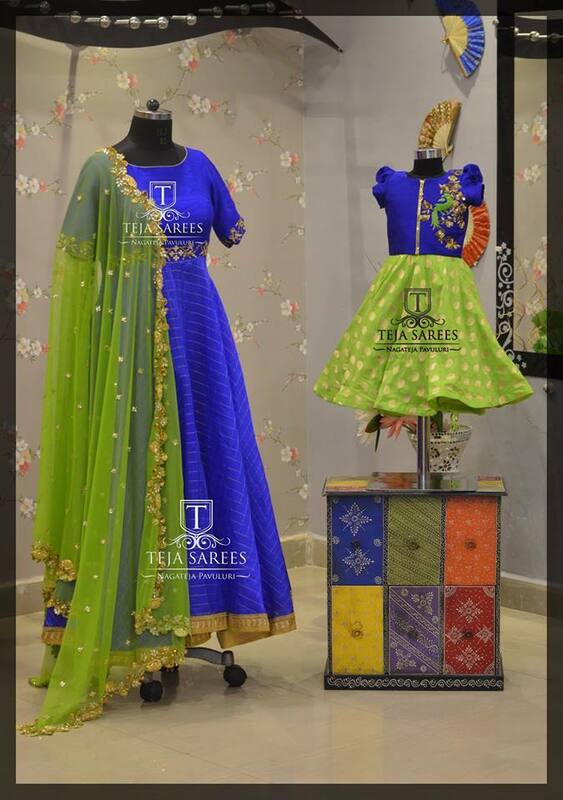 The label ‘Teja sarees’ has been constantly featuring innovative mom-daughter matching outfits that could get you and your kid the needed attention on your D-day. Check out their collections that will speak for this label’s creativity and artistry. 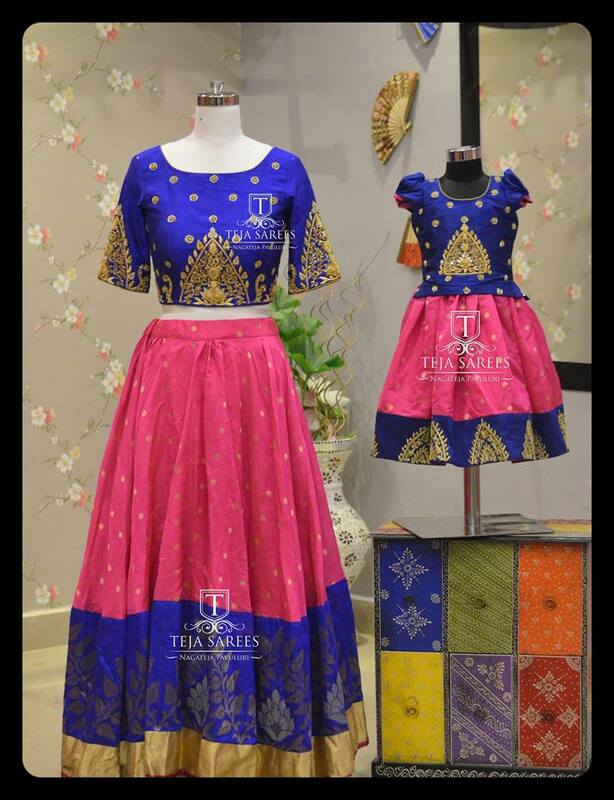 Are you tempted to get this gorgeous ensemble for you two? Then please reach the label from the contact details provided below. 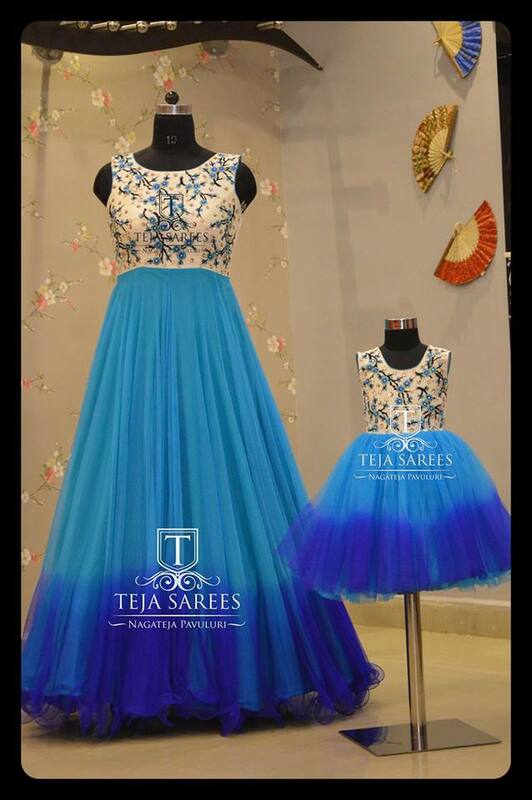 You can check out the rest of the mom-daughter collections here. 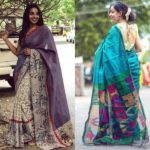 Previous articleWant To Look Stylish in Saree? 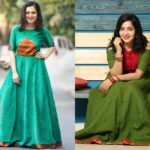 Try Back Knot Blouse Designs! 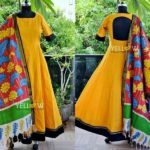 Next article6 Tips To Wear Silk Saree Beautifully! Hi I need one of the outfits displayed . How to reach out. 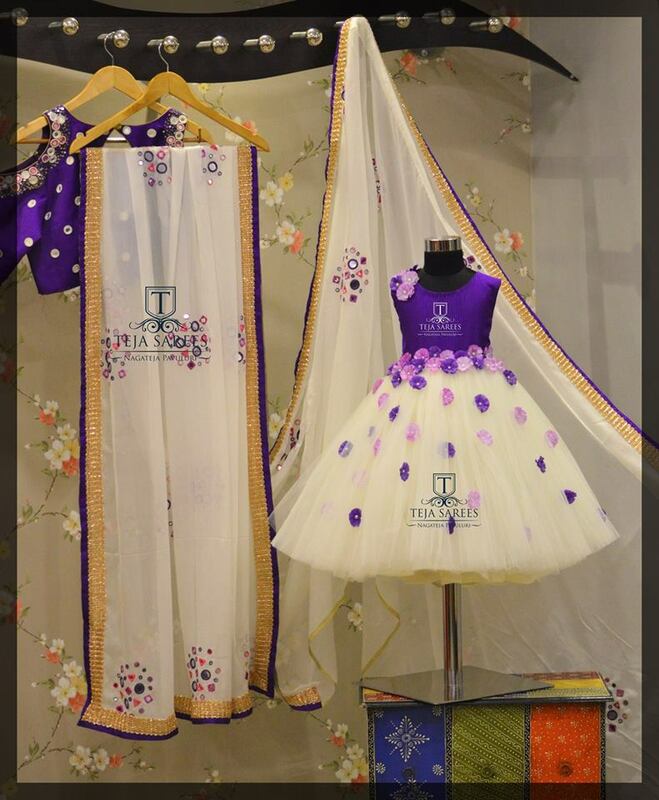 Hi, Please contact the brand from the contact details. Hi, Can you please check with the brand. Details are given in the post. 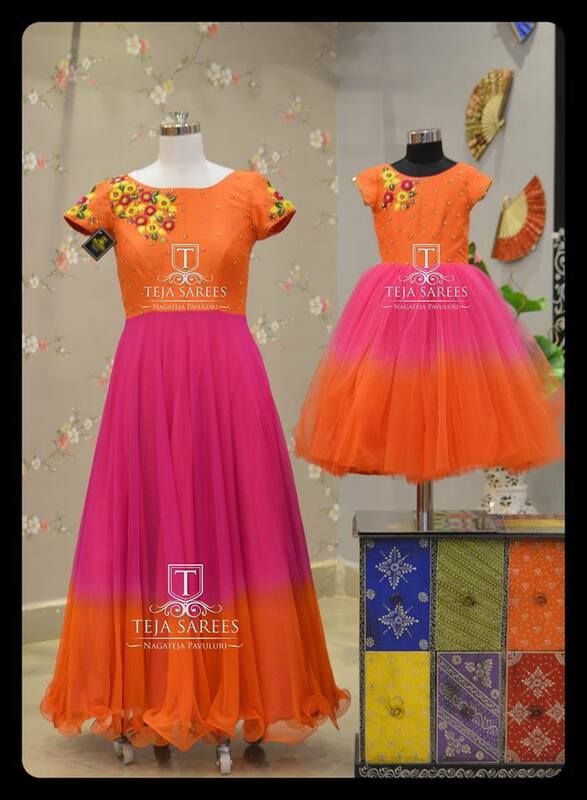 I am looking for mom and daughter matching dress for my child’s first birthday. May I know where is your store located?